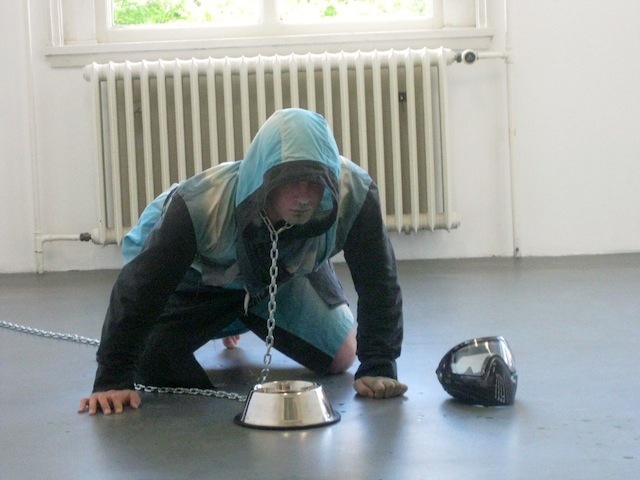 Bradford Kessler (MFA AP13) performs at the Witte de With Center for Contemporary Art in Rotterdam as a part of “The Temptation of AA Bronson.” The exhibition runs through January 5th. Post-Paradise (Black Lodge Sweat), 2013. Created and performed by Ryan Brewer (Art Practice research assistant) as part of Triskaidekaphobia, a group performance exhibition at Parade Ground (NYC), on January 12th, 2013. Curated by AA Bronson (AP mentor) and Bradford Kessler (AP participant). Art Practice mentor AA Bronson and Art Practice Participant Bradford Kessler (MFA AP13) present “Triskaidekaphobia,” on Saturday, January 12th and Monday, January 14th at Parade Ground. Performance works from Art Practice participant Yasmeen Alsudairy (MFA AP13) and Art Practice Staff member Ryan Brewer are included in the show. 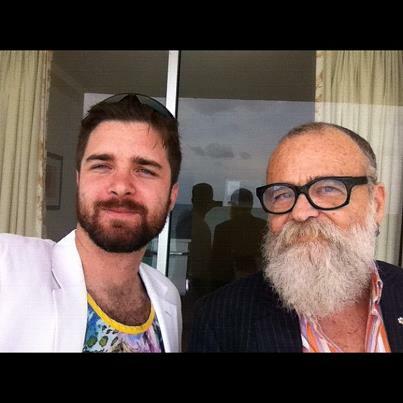 “Return of the Prodigal Son” by Art Practice participant Bradford Kessler and his mentor AA Bronson is featured in ARTINFO’s “50 Greatest Hits from Miami’s Art Fair Extravaganza”. Art Practice Participant Bradford Kessler (MFA AP13) and Art Practice Mentor AA Bronson are participating in Art Basel | Miami Beach. You can find them at the Esther Schipper Gallery booth, J06. Kessler is also launching a new zine “HOT ARTISTS ISSUE 2” at Printed Matter’s booth, with a party on Saturday from 5:00pm-7:00pm.